Of course, some native people reject the holiday altogether. A native man I know once told me he refused to celebrate because it would mean accepting our defeat. I get his point, but there’s more to Thanksgiving than that. As a boy growing up in northern Minnesota, the holiday was one of the few days of the year where peace reigned in the household. My father was sober. We all helped out with cleaning and doing dishes — without complaint. We watched football, and the older brothers trudged through the snow to cut down a Christmas tree. Being Indian had nothing to do with giving thanks. But the innocence of youth is lost too quickly in this world. The reality of racism is so demoralizing. Being called a no-good Indian. Growing up with no connection to your Indian values and language, while not living among your own people. In my early 20s, I found a thriving Indian community at my university, and at the Minneapolis American Indian Center on the city’s south side. In my 30s, as a budding journalist, I got interested in our own news – in combating racism in the city and tribal corruption on the reservation. I began to see and interact with the world through red eyes. Later, when I was teaching at the University of Wisconsin-Madison, my nephew Nick lived with me while attending high school. Each Thanksgiving, I would invite my brothers for the weekend. We would prepare a Spirit Plate for our ancestors, grandmother, mother and lost siblings. We would set the plate under a tree. A Spirit Plate is to help those who have walked on in their new journey. This year, as usual, there is much to be grateful for in Indian Country, and much to mourn. Wars and conflicts continue. Fires, hurricanes and mass shootings plague all of the nation’s people. For the first time, two Native women were elected to the U.S. Congress. Democrats Sharice Davids, a member of the Ho-Chunk Nation, will represent Kansas and Deb Haaland, a member of the Pueblo of Laguna Tribe, will represent New Mexico. Our voices are finally being heard in Washington. On the other hand, a U.S. District Court judge has blocked President Donald Trump’s attempt to move ahead with the Keystone XL oil pipeline in the Dakotas. He ordered more environmental tests to ensure the water and lands of the Standing Rock Sioux Tribe are protected against contamination. Though temporary, it’s still a victory for natives and concerned whites. The more pushback Indians face, the stronger our resolve. It’s a new future. And that is something Indian Country can be thankful for this holiday season. 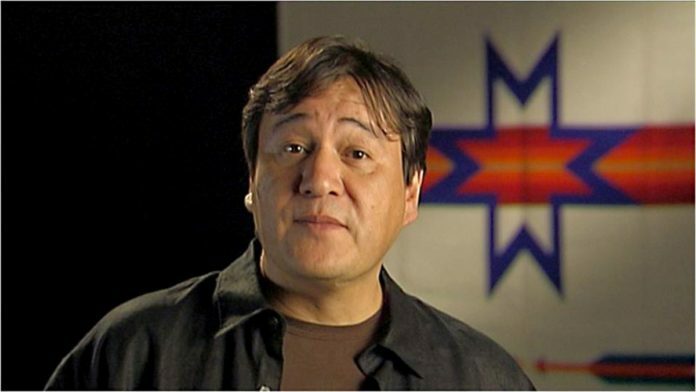 Mark Anthony Rolo is an enrolled member of the Bad River Band of Lake Superior Chippewa Indians and author of the memoir “My Mother Is Now Earth.” This column was written for the Progressive Media Project, affiliated with The Progressive magazine, and distributed by Tribune News Service.